(CNN)Eight years before the devastating attacks of September 11, 2001, America witnessed an ambitious terror plot that also targeted the twin towers of the World Trade Center. It was a quarter of a century ago this week, on February 26, 1993, when a group of jihadist terrorists, some of whom had trained in Afghanistan, tried to bring down the towers and to kill the many thousands of Americans working there. The terrorists drove a van packed with explosives into a basement parking garage at the Trade Center and detonated a bomb. The bomb didn’t succeed in bringing down the Twin Towers, but it killed six people, injured many others and alerted Americans to a new kind of terrorism threat. The FBI moved quickly to arrest many of the Trade Center plotters and they were tried and convicted in federal court and given lengthy sentences. The Bureau also put an informant inside a second group of jihadist terrorists who were planning additional attacks against Manhattan landmarks, including the United Nations and the Holland and the Lincoln tunnels. They were arrested and also convicted. The spiritual leader of the terrorists targeting Manhattan, Sheik Omar Abdel Rahman, aka “the Blind Sheik,” was also arrested. He died in an American prison last year. 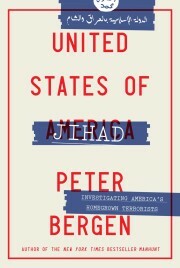 The campaign of terrorism directed against targets in New York City in the early 1990s provided the impetus for a relatively small group of counterterrorism specialists at the FBI and CIA to start focusing on a shadowy network of jihadists who were part of an organization called al-Qaeda and its leader, a wealthy Saudi named Osama bin Laden. Yet America was still vulnerable to the nightmare of 9/11, no doubt because the tactic of turning passenger planes into weapons was anticipated by few. The group of jihadist terrorists who carried out the 1993 Trade Center attack prefigured much of what would come later. The leader of the 1993 operation was Ramzi Yousef, whose uncle, Khalid Sheikh Mohammed, was the operational commander of the 9/11 attacks. A number of the 1993 terrorists had fought in the wars in Afghanistan that began in the 1980s, out of which was forged al-Qaeda. And one of the 1993 conspirators was a US citizen, which prefigured the continuing threat we face today from “homegrown” America terrorists inspired by ISIS, a group that is an offshoot of al-Qaeda. As we mark the 25th anniversary of the Trade Center bombing it’s worth considering where we are in the long war that began that day. The American political scientist David Rappaport pointed out shortly after the 9/11 attacks that there have been four “waves” of revolutionary terrorism in the past century or so, each one of which has burned itself out after several decades. First, was the anarchist wave. In 1920, not far from the eventual location of the Trade Center, outside the J.P. Morgan bank at 23 Wall Street, anarchists blew up a wagon loaded with explosives, killing 38 people. You can still see the gouges in the limestone facade of the building, caused by the bombing almost a century ago. The next wave of terrorism was the anti-colonial wave typified by the Jewish militant groups that forced the British out of Palestine shortly after World War II and the militants who forced the French out of Algeria in the early 1960s. Then came the leftist wave that began in the 1960s that included terrorist groups such as the Baader-Meinhof Gang in Germany and the Weather Underground in the United States. Finally, came the religious wave that began in 1979 with the overthrow of the Shah of Iran by Ayatollah Khomeini and his followers. This revolution made a great impression on Osama bin Laden as it demonstrated that religious militants could overthrow Western-backed autocrats. This wave of Islamist religious revolutionary violence continues to this day. Its latest iteration is ISIS, and while the terrorist army has been largely defeated in Iraq and Syria, the political conditions that produced ISIS largely remain in place. They include the sectarian civil war that is roiling the Middle East from Yemen to Syria to Iraq and that pits Shia militias backed by Iran against Sunni groups such as al-Qaeda. And they also include the collapse of governance in large chunks of the Middle East following the Arab Spring that has engendered failed states from Libya to Yemen. Those states are the weak hosts in which parasitical terrorist groups such as ISIS thrive. It is from this toxic mix that we are likely to see the son of ISIS emerge. The long war that began with the first Trade Center attack 25 years ago continues with no end in sight. Like other waves of terrorism, the religious wave will burn itself out at some point. But that could take decades, because the religious terrorists truly believe that God is on their side — and that is a very powerful form of belief.